As the teams eliminated from the playoffs begin to make moves for next year, so far the biggest question mark for the Washington Redskins remains unanswered. For the past two years, questions surrounding quarterback Kirk Cousins’ future have been nonstop. Previously, Washington has only been able to commit to back-to-back one year deals. But Coach Jay Gruden (along with everyone else) is ready for that to end–one way or another. While the Redskins certainly have other roster questions and roles to fill, knowing who the quarterback will be is one that needs to be answered sooner rather than later. After two years, it’s time for Washington to either commit to Cousins long term or cut him loose. They won’t be able to move forward with another year of uncertainty. The Washington Wizards fell to potential playoff foe Milwaukee Bucks (21-17) on Saturday night. Despite John Wall dishing out 16 points and a season-high 16 assists, the Wizards were outscored 28-18 in the fourth quarter en route to the 110-103 loss. 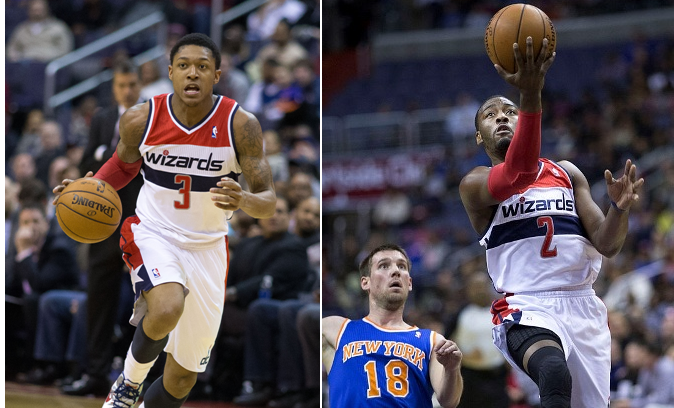 Bradley Beal led the team with 20 points, while Marcin Gortat added 17 points and seven rebounds. Washington (23-17) has a few days off before they host the Utah Jazz on Wednesday.